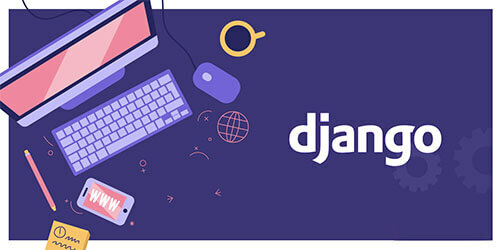 Developers around the globe are constantly looking for the best framework, language and tools, to work with, and time and again, most of them have found Django to be their best bet. Written on the quick, powerful and open-source Python language, Django framework is not only easy to work with but is also very efficient when it comes to both small-scale as well as large and complex projects. Since the web development process is made much easier because of Django’s free and open-source resources, developers can fully focus on the designing process and boost performance. Released in 2005, Django has turned into one of the go-to web-frameworks for a lot of developers. Django, with a set of right functionalities, reduces the amount of trivial code that simplifies the creation of web apps and results in faster development. Django uses the model-view-template (MVT) architectural pattern, and is a “batteries included” web framework, with robustness and simplicity to help web developers write clean, efficient and powerful code. Being among the most famous web frameworks out there in the world, it’s one of the most used frameworks as well. It’s used by industry giants such as Instagram, YouTube, Google and even NASA for their website. Django is maintained by the Django Software Foundation (DSF), an independent non-profit organization, and its primary goal is to ease the creation of complex, database-driven websites. The emphasis of the framework is on re-usability and "pluggability" of components, less code, low coupling, rapid development, and the principle of don't repeat yourself (DRY). Python is used throughout, even for data models and settings files. Another key feature of Django is the optional administrative create, read, update and delete interface that is generated dynamically through introspection and configured via admin models. It’s Python-based: Since Django is Python-based, it leverages some of the power of Python to its advantage. Python is arguably one of the easiest programming languages to learn for beginners as well as the experienced, and according to the ‘Stackoverflow Developers Survey 2017’, it is now more common than PHP. Batteries included: Django comes loaded as a batteries included framework. This means it comes with a lot of components out of the box that you may or may not use depending on your application. This lets you just import the package that you want to use instead of having to write your own code. This lets you make use of the solutions implemented and tested by world-class professionals. Community: The large community of Django is helpful and is actively working on making the framework more user-friendly and stabilizing the framework while adding new features. Django has comprehensive documentation and is useful as a standalone tutorial. Scalability: Picking a scalable framework is quite essential as it lets room for future developments, and Django is an extremely scalable framework. Django allows you to take a lot of different actions regarding scalability, such as running separate servers for the database, the media and the application itself or even use load-balancing or clustering to distribute the app across multiple servers. Robust built-in template system: Another one of the major benefits of Django framework is a built-in template language that facilitates the process of building applications easily. Administration interface: The administration interface provided by Django is simple to create and it’s really one of the key advantages while using the framework. Also, this administration interface can be customized in all sorts of ways. Customizable framework: Django makes it very easy to customize your web solution as it is an easily customizable framework. Best security: Since Django hides your website’s source code, the framework offers protection against XSS and CSRF attacks, SQL injections, clickjacking, etc. Django notifies of a number of common security errors better than PHP. Versatile: Django makes the management of CMS, scientific computing platforms, and even big organizations, very efficient and with ease. Fast: Last but not the least of the advantages of Django is that it enables very quick development of apps, owing to the need for fewer and easily readable codes. This also makes the development process cost-effective and efficient. Since Django comes fully-loaded with all of the necessary tools for creating any additional features for the product, it is the best solution for creating an MVP (minimum viable product) model for startups. Using the right process, an MVP model can be scaled for further development depending on the requirements of the growing business. Why chose Spericorn as your trusted Django development partner? Equipped with the robust application development process, Spericorn is a Django development company that make sure the projects we handle are delivered with all-round perfection. We offer high-quality out-of-box solutions for our clients to deliver projects of world-class standards. Our team of certified Django developers makes sure the entire development process progress swiftly keeping a tight check on the quality. As a top Django development company, our specialty is the service of certified developers to meet the needs of smaller projects as per client discretion. 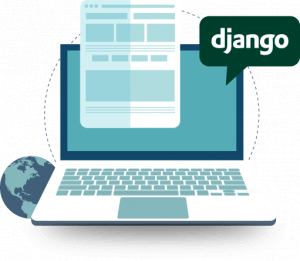 Due to the great expense for the development process in many places, a number of international clients have chosen Spericorn as their best option to get service from the top offshore Django developers. With exceptional expertise in project handling, our Django developers have an established record of exhibiting great skill and creativity in the projects they handle. Sticking to a prescribed time frame to bring out the best projects is a quality our Django developers display and this has gained the interest of our global clients.